Photo Gallery #764: Click edit pencil to get the selected gallery name. 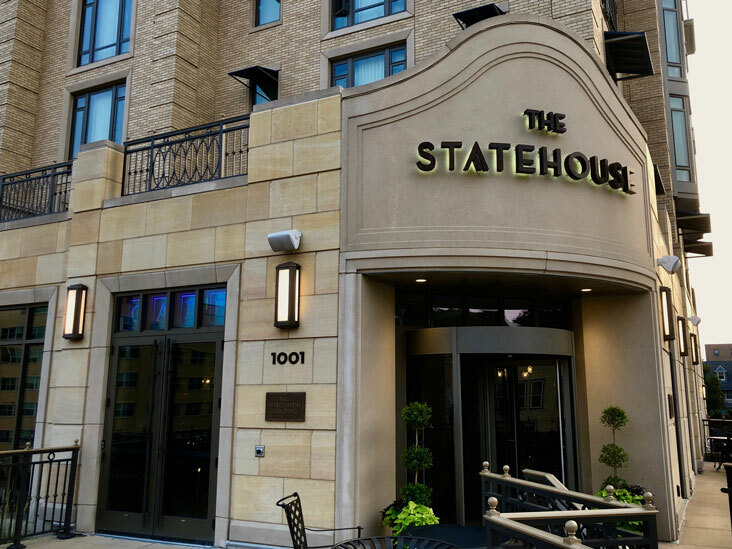 Riverside exterior sconces nicely complement the design of the Edgewater Hotel’s new addition. Instead of one of the standard decorative front panel designs, this variation was specified with no front panel at all. 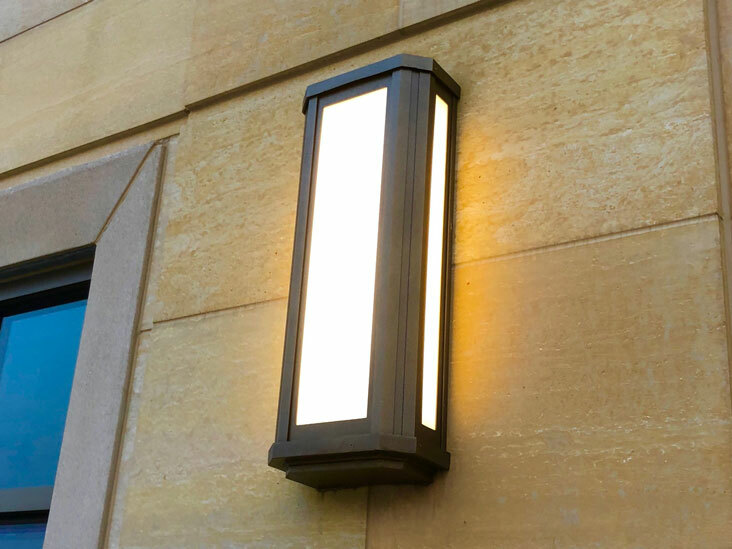 Standard size sconces at (11”W x 35”H) are complemented with shorter (11”W x 20”H) sizes around the lobby entrance.